My signature contains a well known quote from a guy who did the same century ago. Is Chilly-Willy going to maidan the maidan? That would be Inception style move. Just a draft currently and I'm sure Trump has a veto. Can see the US MIC rubbing hands with glee. The Senate of the United States of America has passed the draft National Defense Authorization Act for 2018, Ukrainian President Petro Poroshenko has said. "The US Senate passed the U.S. defense policy bill for 2018, which provides, among other things, the allocation of $500 million to support Ukraine in the field of security and defense," he wrote on Facebook in the early hours on Tuesday. The draft authorized the supply of lethal defensive weapons to Ukraine. It also permitted to spend funds of the U.S. defense budget on rehabilitation of wounded Ukrainian servicemen at U.S. hospitals, and to beef up the capacity of the Ukrainian Air Force and Navy, Poroshenko said. "This is the first legislative act providing Ukraine with such means of defense as air defense and sea surveillance radars, naval countermine hardware, and coastal and Coast Guard vessels," Poroshenko said. They must believe they will be transmitting gas in 2020 post the current contract. This along with the final para and pipeline condition may well be risk factors for western companies primarily after profit. Ukraine plans in January 2018 to make an offer to attract a European partner to manage its gas transportation system (GTS), Head of Naftogaz Ukrainy Andriy Kobolev has said. "I think that after the completion of the transit case in Stockholm, and this will be approximately in November, we need to make a specific offer to European partners in January. This is exactly the idea that our team [Naftogaz] offers," he said on the air of ICTV Channel. According to Kobolev, the proposal should be interesting for European companies, otherwise the Ukrainian GTS could repeat the fate of Odesa Port-Side Chemical Plant, which has repeatedly and unsuccessfully been put on sale and is currently standing idle. "This should not happen with Ukrtransgaz, because, in addition to security and income, 20,000 people work there. We need to keep this business in Ukraine," the expert said. According to Kobolev, transit and the business of gas storage in underground gas storage facilities should be separated, because European companies could be frightened away by potential risks associated with legal claims for the disputable 11 billion cubic meters of gas in storage. Really interesting comments and analysis, this General is treading a fine line. This is the first part, some of the comments are top notch as well, well worth checking out. One of the leaders of the Ukrainian punitive forces made a rather unexpected confession, not only disproving the main point of the Kiev propaganda, but also revealing the import of the US State Department's special representative for Ukraine. The commander of the operational-tactical grouping of the Lugansk troops, General Oleg Mikats, told the media that the Ukrainian armed forces possess the necessary weapons, equipment, and training to inflict military defeat on the Armed Forces of the People's Republics. However, the Kiev junta can not implement this, because an authorized full-scale offensive will mean the breach of the Minsk agreements. Which, in turn, will deprive Kiev of EU patronage, at least Germany and France, which are guarantors of Minsk. "So, what is next? How will events develop most likely? I'll tell you how. Ukraine will be accused of violating the Minsk agreements. And this will untie Russia's hands. Russia will bring in its forces and means, will begin to use aviation, which it has, will begin to use cruise missiles, which it has ... After that, Russia will no longer be perceived as an aggressor - it will look like a savior. Because Ukraine has violated the Minsk agreements," the general said, urging not to speculate on this topic. Because fighting with Russia and fighting with the militia - are two different things. Thus, he admitted that the APU is at war not with Russian troops, but with the LDPR armies, thus refuting the most important foundation of all Kiev propaganda about "Russian aggression"
"Yes indeed, up to the border (i.e not at all in the territory of the Donbass) there are battalions of tactical groups, brigades, and divisions, which are listed in Russia on alert, armies that they have gathered," Mikats admits, setting up the rhetorical question: "Why?" And then he explains that the units and units of the Russian Army concentrated at the borders will immediately strike a blow if the Kiev rebels cross the "red line," like trying to capture Donetsk or Lugansk. However, Mikats' speech is interesting not so much for its involuntary exposure of Kiev's lies, as much as recognition of the importance in the situation that is being attached in Kiev to Minsk agreements -- or to the "Minsk dead end." Such a nickname is quite reasonable, given the fact that, as the Ukrainian general explained, the junta is afraid of becoming a universally recognized violator of the Minsk agreements, and losing the support of the West and then being left face to face with the Armed Forces of the Russian Federation conducting an operation to force peace. This gives the key to understanding the persistence with which Kurt Volker, the representative of the State Department for Ukraine, is trying to achieve a rejection of the Minsk agreements. Practically in each of his speeches and comments he declares that "Minsk" is not a panacea, that there are other ways and ways to achieve peace in the Donbass. So Russian Military is parked across the border and is waiting locked and loaded for ukrops to go full retard after which it's dogs of war unleashing time? Figured something along those lines but it never occurred to me that French and Germans give any figs about Minsk. Then again they are probably looking for a way to extricate themselves from this mess and USA has been insistent on dropping Minsk altogether. Another solution for Russia is to wait for Porky to end up on lamp post. Whichever comes first. At Around 16:20 on Friday, ammunition started exploding at depots near the village of Maloyanysol (Nikolske district, Donetsk region), no data on casualties is currently available, the Donetsk regional police together with the military prosecutor's office are probing the incident. "Employees of the Emergency Situations Service have left for the site. The police have cordoned off the dangerous area. According to preliminary data, the fire broke out in a field... The rescuers are currently extinguishing the fire… No data about casualties is currently available," the police communication department in Donetsk region reported. The circumstances of the incident are being established. As its from Doni maybe its Russian propaganda, who knows? They should return to swords, spears and arrows if they can't handle ordnance with care, or at least to not to play with matches. I think I saw solar flare in one of those vids. Binary solution this this charming debacle. 1. DNR/LNR gave a helping hand to warm the general AO. 2. The orcs did it themselves to conceal massive theft and sales to IGIL in Syria. Chose one or both. auslander wrote: Binary solution this this charming debacle. Hell, DNR/LNR and Mother get blamed if there's a scourge of teenaged acne in Kiev or sagging mammary glands in Lemberg. Of course Novorossiya will be blamed for the rather spectacular fireworks display and having viewed it I must admit it's one of the best. That daytime shockwave and fireball must have represented quite a lot of explosive. Apparently part was another MLRS rocket store just like the one that went up before, so maybe all the Grads were sold via Bulgaria, its about the only terrorist rocket we see in Syria? Must have done a lot of civilian blast damage, heard loads of greenhouses got it. All that glass in windows gone just before winter. I think that the most important question is: how much ammo (I hope none) will stay intact and ready for use, when this lovely firework is done? Anyway, great news and great show. Said it was a big bang! The recriminations for that fire have started, all from Interfax today. Always someone else. Responsibility for the fire at the Kalynivka ammo dump in Vinnytsia region is shared by defense officials, starting from the chief of Ukraine's Armed Forces General Staff, National Security and Defense Council (NSDC) Secretary Oleksandr Turchynov has said. "The country has suffered a gigantic blow since the start of the war, a blow against our defense, or defense capability… This is the responsibility, starting from the chief of the General Staff along the entire vertical [line of command], all those who answer for our country's defense," Turchynov told journalists in Kyiv on Thursday. "We have demonstrated that we are unable to defend our strategic arsenals. This gives rise to the question of the quality of our nation's defense. And until the highest officials, those who do not fulfill their functions well, answer for this we will always be counting our losses," Turchynov said. Turchynov said after the fire at ammo dumps near Svatove conclusions were drawn and the NSDC, along with the Cabinet of Ministers and Defense Ministry, took decisions. "Unfortunately, most of these have not been carried out. And we see such consequences. Because they were not carried out those responsible will pay with their positions and legally," he said. "Responsibility is a necessity, as well as the courage to answer for something you are incapable of doing," Turchynov said. Fire alarms didn't work at Kalynivka arsenal, half of security equipment was missing. Chief Military Prosecutor of Ukraine Anatoliy Matios has said fire alarms were out of order at the ammunition depots near Kalynivka, Vinnytsia region, and half of technical security means was missing. "Among the faults established by investigators were non-working fire alarms and only half of the required security technical means," Matios said at a briefing in Odesa on Thursday. He also noted that there is a problem with military security guards, whose wages are extremely low so mostly elderly people work there. According to Matios, at the time of the emergency, the arsenal was guarded only by a few anti-aircraft posts and 17 members of the militarized guard. Investigators are working out four basic scenarios behind the fire at an ammunition depot of the Ukrainian Armed Forces near Kalynivka (Vinnytsia region), which subsequently led to artillery shells exploding, the press service of the Prosecutor General's Office of Ukraine has reported. "Under the leadership of the military prosecutor of the Central Region of Ukraine, urgent investigative actions and measures are being taken to solve the crime. Four basic investigative scenarios of the criminal offense are being worked out," reads the report. The prosecutor's office recalled that in connection with the explosion of ammunition the Military Prosecutor's Office of the Central Region of Ukraine had included information in the single register of pre-trial investigations under Article 113 of the Criminal Code of Ukraine (sabotage). The pre-trial investigation in the proceedings was entrusted to the investigation department of the Ukrainian Security Service's (SBU) office in Vinnytsia region. At the same time, the Prosecutor General's Office took control of the state of the pre-trial investigation. It will be difficult for Ukraine to compensate for ammo losses over last 2 year. Ukraine's main military prosecutor Anatoliy Matios has said it will be exceedingly difficult for Ukraine to compensate for munitions destroyed at the Kalynivka arsenal in Vinnytsia region. "In light of exceedingly large losses of ammunition over the past two years resulting from emergency situations or as a result of sabotage, it will be very difficult for the state to compensate for the losses of ammunitions costing billions of hyrvnias," Matios said on Thursday during a briefing in Odesa. Ukraine's chief military prosecutor Anatoliy Matios has said his office does not have the grants of authority to check the use of state budget funds allocated for defense, as well as military warehouses and ammunition storage facilities. "The military prosecutor's office is not empowered currently… the Prosecutor General's Office (PGO) does not have the right to check [military] warehouses. Reform measures have removed the authority for us to check how budget funds are spent on defense, on the functioning of [military] warehouses, arsenals and so forth," Matios said during a briefing on Thursday. He added that prosecutors can conduct work after incidents, but not checks to prevent them. "We can't check, but we can investigate criminal cases. Criminal cases mean losses have occurred," Matios said, adding that after November 20 the military prosecutor's office will be defunct, replaced by the State Investigations Bureau. Ukrainian chief military prosecutor denies info on sabotage groups in Vinnytsia region where ammo depots were ablaze. No sabotage groups have been spotted in Ukraine's Vinnytsia region, where ammunition explosions began at military depots late on September 26, and no one has been detained or has escaped, Ukrainian Chief Military Prosecutor Anatoliy Matios said. "The investigation has not recorded the presence of any sabotage groups, mentioned by Facebook and others... in the territory of Vinnytsia region. There is no information about that. Second: the investigation, which started to work an hour and a half after the explosions began, has not confirmed any information about drones... There have been no groups, about which the defense minister's advisor has spoken, no sabotage and reconnaissance groups or those who were detained or escaped," Matios said at a press briefing in Odesa on Thursday. Ukrainian Prime Minister Volodymyr Groysman has said explosions of ammunition at the arsenal near Kalynivka, Vinnytsia region, have practically ceased, and the demining of a 5-km zone has started. "Regarding the situation in Kalynivka. The ammunition continues to smolder in the warehouses, but blasts have almost stopped," the premier wrote on his Facebook page on Thursday. He said the residents began to return to the villages far removed from the epicenter of explosions. "In general, the situation is under control: air reconnaissance is underway to enable further use of aircraft to localize fires, minesweeping teams begin to clear a 5-kilometer zone," Groysman wrote. Ukrainian Prime Minister Volodymyr Groysman has said that those responsible for the situation in Kalynivka in Vinnytsia region, where ammunition depots have been burning since Tuesday evening, must be held accountable. "We need a clear-cut investigation and understanding of the cause of this emergency situation. 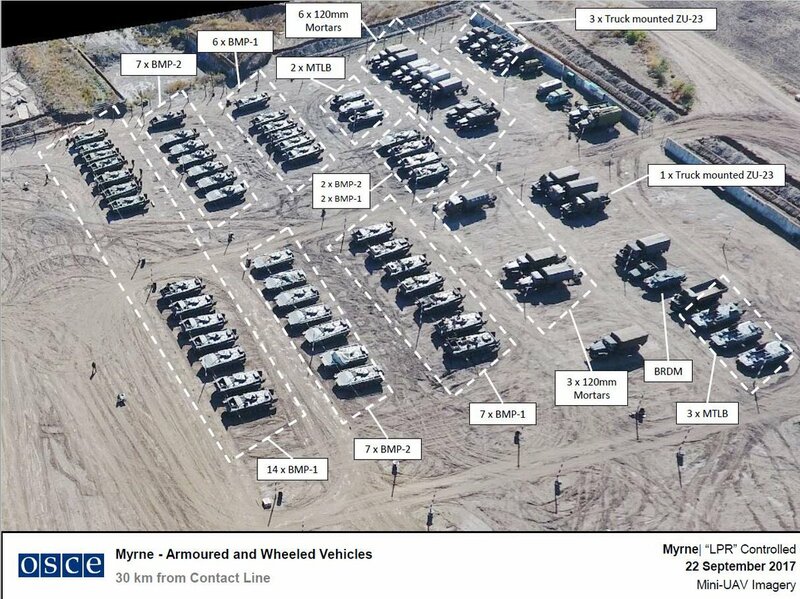 This is the arsenal of our Ukrainian troops and I believe it isn't by accident that it is being destroyed now. But we need to make sure that all those who must be responsible for this are held accountable. I believe this is absolutely a matter of principle," Groysman said at a government meeting on Wednesday. "I remember Mariupol, I remember Balaklia. And today this is Vinnytsia. Wise men draw conclusions. Fools repeat mistakes. I think the military cabinet presided over by the commander-in-chief, the country's president, is going to meet today to analyze the situation and make appropriate conclusions," Groysman added. As reported earlier, Ukrainian President Petro Poroshenko has decided to convene a meeting of his military cabinet with the participation of Groysman, National Security and Defense Council Secretary Oleksandr Turchynov, and chiefs of law-enforcement and defense agencies over the ongoing explosions at ammo depots in Kalynivka. The officials will attend the meeting right after their return from Vinnytsia. Kyiv dismisses allegations of illegal arms shipments to South Sudan. The accusations leveled at Ukraine by Amnesty International and the Organized Crime and Corruption Reporting Project (OCCRP), an international journalistic organization, saying that Ukraine violated its international export-control obligations have no legal grounds, the Ukrainian State Service of Export Control (SSEC) said in an official statement on its website. Ukraine is a member of all international export-control regimes and strictly adheres to their requirements and to relevant UN Security Council resolutions, the statement says. "RUSSIAN SECURITY FORCES DETAINED TWO UKRAINIAN SPIES IN CRIMEA." par far wrote: "RUSSIAN SECURITY FORCES DETAINED TWO UKRAINIAN SPIES IN CRIMEA." Military serviceman and his girlfriend. Probably one of 10000 former Ukrainian servicemen that switched. It was expected and unsurprising statistically speaking. I'm sure FSB cast the wide net back in 14 and has been keeping tabs on potential idiots. Efforts bore fruit. Will be more in the future. Rather more than 3, most are not reported. No sense in letting the enemy know their operatives are no longer viable. auslander wrote: Rather more than 3, most are not reported. No sense in letting the enemy know their operatives are no longer viable.